As I drove into the commercial, industrial park in Fairfield, NJ, a certain HBO theme song kept popping up in my mind. But I did not run into Tony Soprano as I turned the corner, fortunately. Rather, it was a progressive business that is changing the landscape of the spirits industry in New Jersey. 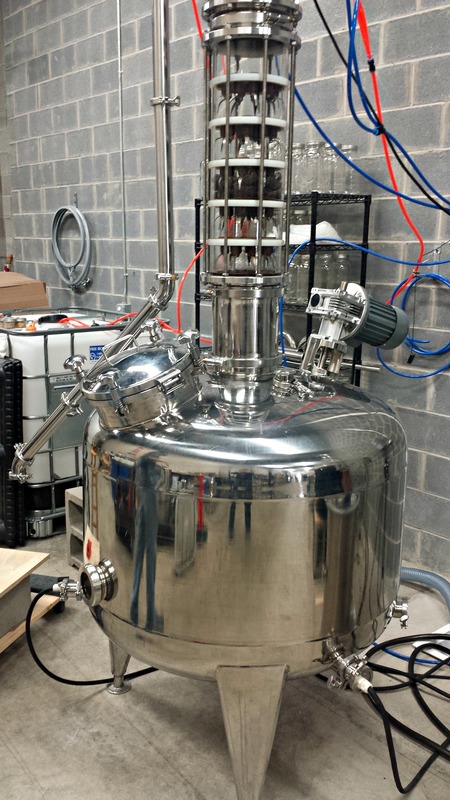 Co-owned by John Granata, Sue Lord, and Betty MacDonald, Jersey Spirits Distilling Co. is a new operation created out of a true passion for craft distilling. 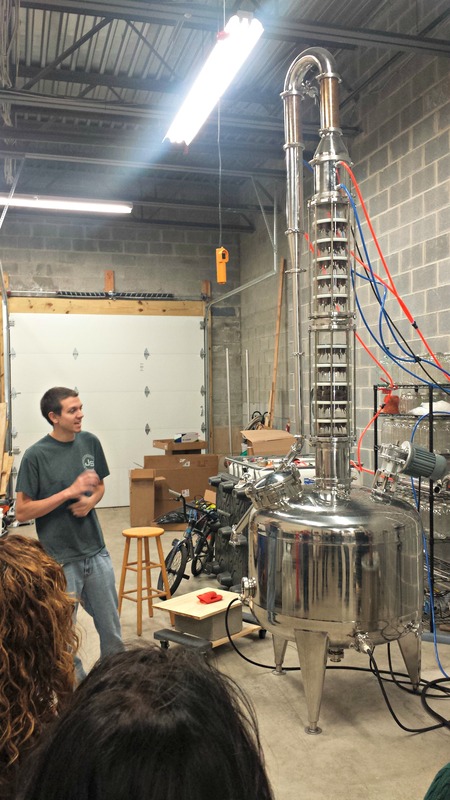 Jersey Spirits Distilling first opened its doors for tastings in mid-August, 2015. 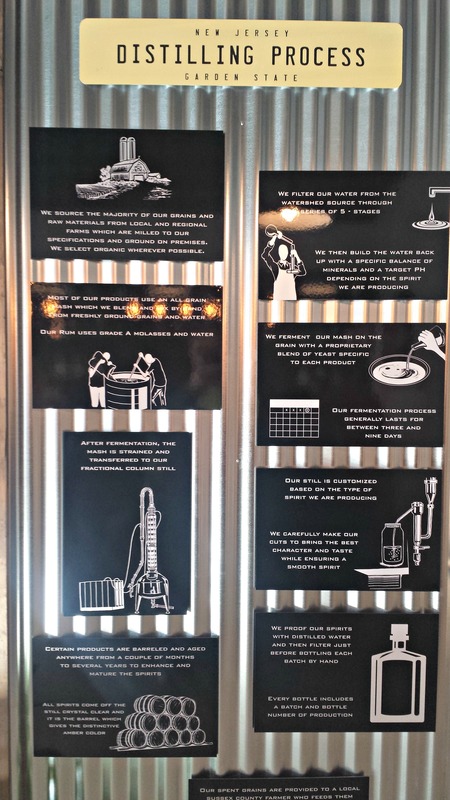 It is the youngest distilling operation that I have visited, but there is a knowledge-base that runs deep. John and Sue come from a food (restaurant) and science background. They visited many distilleries prior to starting their own and mentioned the High West Distillery in Utah as one of their favorite inspirations. 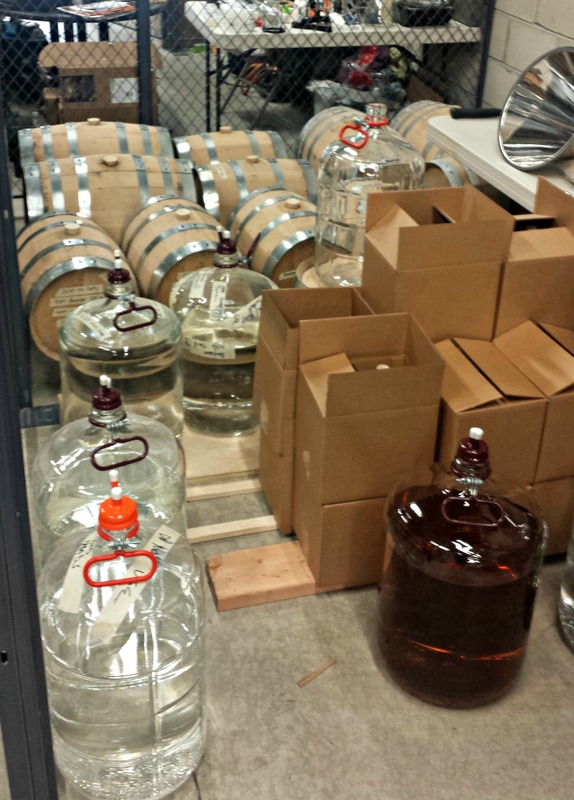 After workshops and intense research, Jersey Spirits Distilling was started. On the Saturday afternoon that I showed up for a tour they were having a group Infusion class. 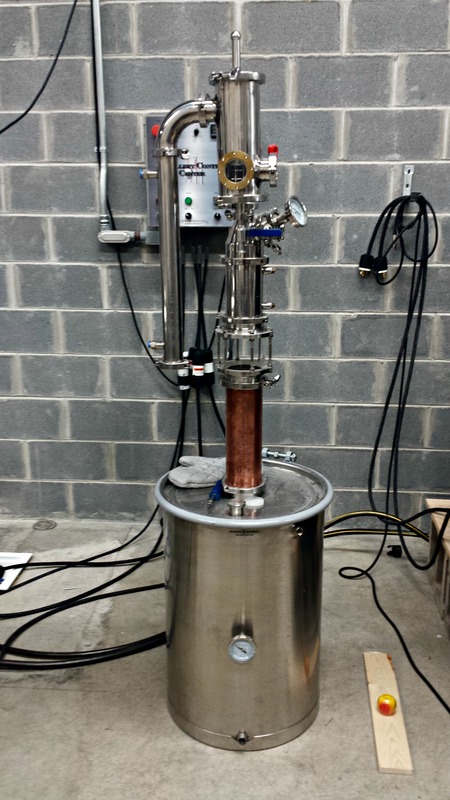 This is just one of the different programs and classes that the distillery offers. 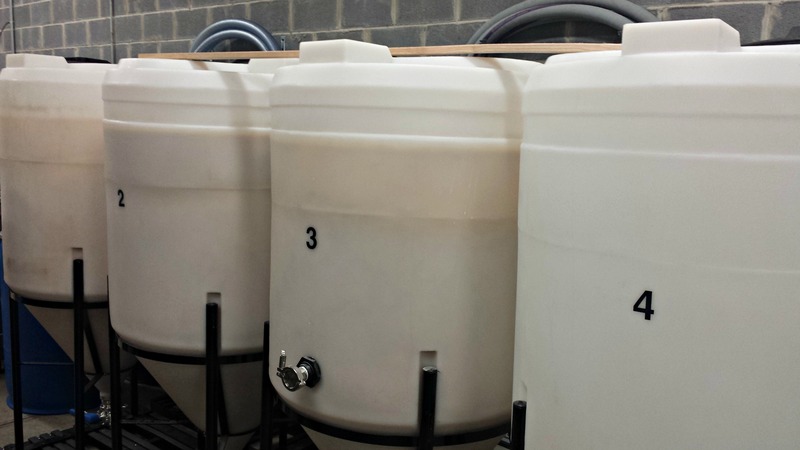 Also offered is a barrel share program which includes the ability for members to be involved in the process of distilling and aging a spirit. There are monthly tastings where barrel-share members can come back and sample the changes that take place as the spirit is aged. Not only that, you get to take home six bottles when it is aged to your liking. Other classes include mixology and an apprentice class on being a distiller. After the tour I tasted three of their offerings: the Boardwalk Rum at 43% ABV, the Barnegat White Whiskey at 46% ABV and the Jersey Apple Hootch at 23% ABV. 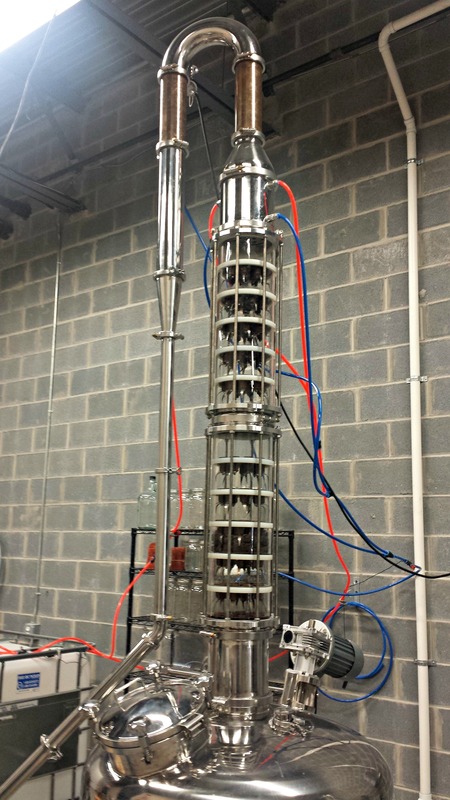 Charles’ Notes: I wasn’t sure what to expect on my quick stop at Jersey Spirits Distilling Co. I knew that an Infusion class was starting at about the same of my arrival, but this worked out well since I could join their tour which was given by TJ, the assistanct distiller. Both John and Sue were gracious owners and spent time answering my questions. I do look forward to coming back to New Jersey to try out their bourbon once it has aged longer, hopefully in 2016. It had a great bar for tastings and a great vibe overall. There is also a brewery, Magnify Brewing Company, in the same complex so this could make for a nice double visit. I did not have time to visit them. Overall, it was a very nice visit and tour and I look forward to meeting them all again. How did you like the spirits? It’s a great story but missing your opinion on this. Hi Liz, the spirits were young which is to be expected since they have been only open for a short time. I did enjoy the rum. My thought is that they are best used for cocktails at this point and not for sipping. I am looking forward to tasting their bourbon once it is ready. Just visited on October 12, 2016. The Crossroads Bourbon is outstanding. It’s aged in much smaller oak barrels so it takes on the flavor more quickly. An excellent bourbon. Thanks for commenting! I need to return to try out some of their new spirit. Cheers.